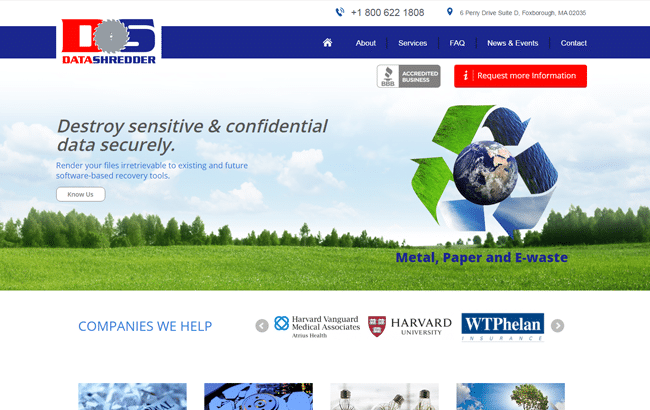 Data Shredder is a data destruction company that concentrates on secure removal of computer hard drives, metal, paper, and e-waste for a wide variety of businesses. GoingClear helped by spending time listening to the client and understanding what the overall goals for the new Data Shredder website were. After determining the key points of emphasis we constructed a refined sitemap that we felt would be easiest for users to navigation. From there our focus shifted to design, and while working closely with the client we were able to provide them with the clean, professional look they sought. 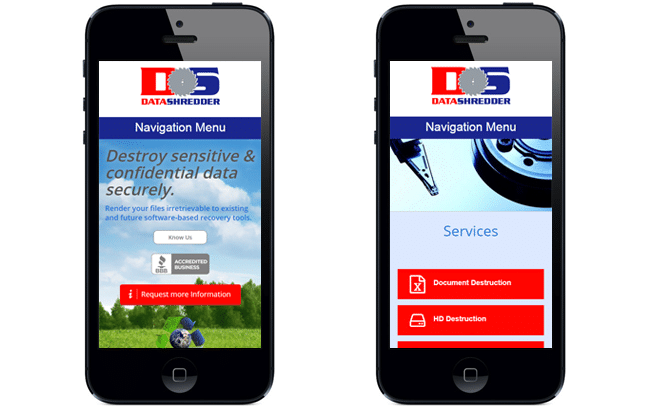 The new Data Shredder website is also Fully Responsive and mobile and tablet friendly so visitors are guaranteed to have a meaningful experience with high-quality photos no matter where they are.